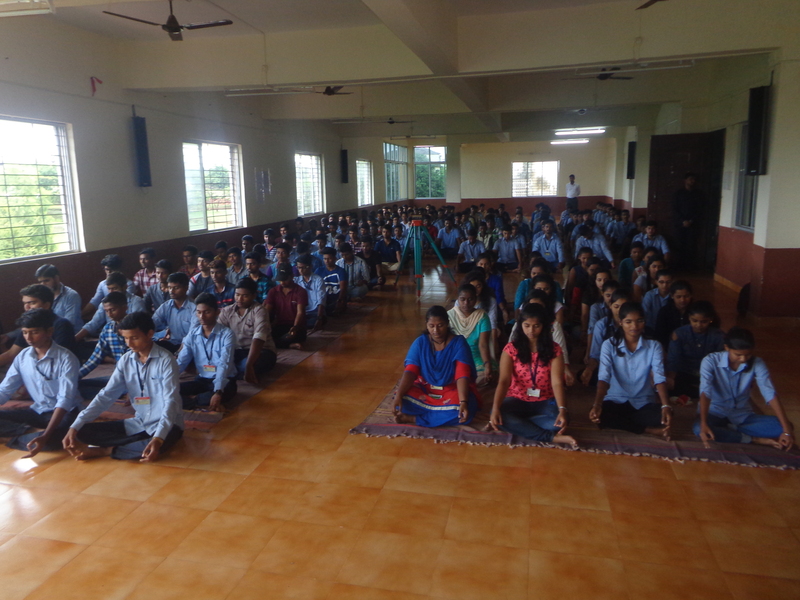 A Training Program on Yoga was arranged in the institute on 21st June on the occasion of 4th International Yoga Day. 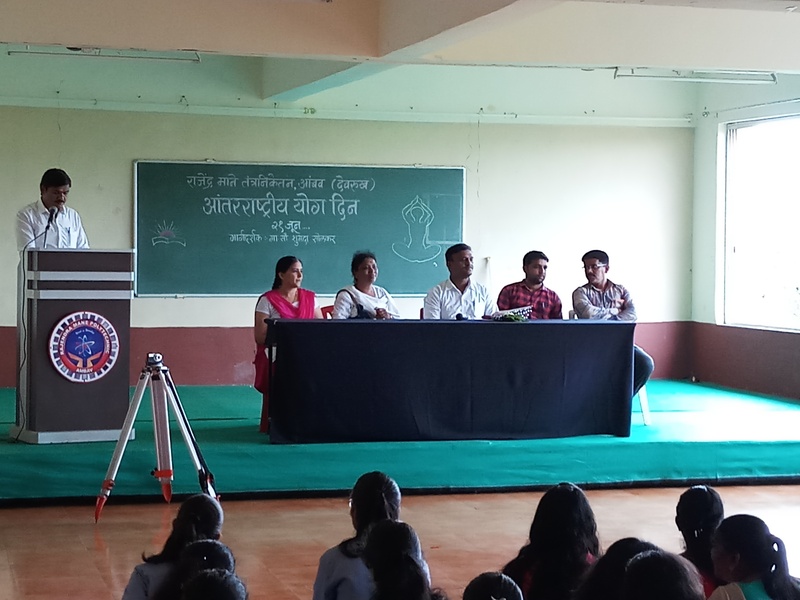 The event was inaugurated by the Shri Bal Mane, Sarpanch Ambav & Principal Prof. N. B. Bhopale, which was followed by talks on various topics including Yoga and consciousness. A Yoga practice session was conducted for staff and studentsafter delivering the speech on 'Importance of Yoga' by Prof. S. R. Mitkari. Yoga session of around forty minutes was organized in which students and staff took part enthusiastically and practiced various 'asanas' of Yoga and pranayama. A Yoga practitioner was invited to demonstrate various Yoga postures and explain correct way of doing asanas. Yoga session was started with intoning of 'Pranay Mantra OM' followed by SookshmaVyayam, Vajrasana, Tadasana, Vrikshashana, Surya Namaskar, NadiShodhan Pranayama and Bhramaree Pranayama. Members present in the session expressed their experiences and stated that they were feeling relaxed, refreshed and calm after the session.